Last week we talked about how beautiful curls are all the rage. This week, we are going to show you some techniques to make that dull straight hair into a lively and circular perfect mess! First, you should know that with a proper utilization of makeup and dress, a woman should also have beautiful hair to match. There are many professional saloons which can give you a complete change in style. If you are carrying on the same hair style every day, you will definitely get bored of it easily. Thus, it is very important to change a specific hairstyle and have it match with the type of clothing that you wear daily. For example, if a girl has straight hair, she should try to have curls in her hair in order to provide a different look for other days. One technique that works well is by using products from Ghd hair styling, which is a famous hair styling organization which can provide a beautiful hairstyle to you. GHD is equipped with various types of products which can help in curling or making a hair straighten for a longer period of time. 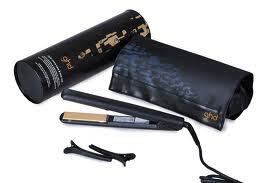 The main technique we will talk about here is by using the GHD products. This is common in those Beverly Hills salons that most celebrities go in and come out with the most lavish hairstyles in the world. This technique can be adopted in your own home just by using a curl holding spray. There is a specific procedure to make hair curl the right way. 1. For the first step, you have to take a small section of hair with your hand. The hair section has to be twisted tightly and held firmly at the end of the tips. 2. You need to isolate some strand of hair and push the remaining hair in the twisting area towards the root of the hair. 3. Then, grab the curling iron of your choice and start going down your hair evenly and slowly. You should see those curls coming out beautifully and naturally. This technique is very advantageous as it would provide a soft appearance to the curls. This will provide a wonderful shape to the existing hair without having to actually cut your hair. After completing this method, the Beverly Hills hair dresser we mentioned before would put GHD Style Final Fix Hairspray in the end. This is important to provide a long lasting look to the newly formed curls. You can use any decent quality hairspray so grab your favorite brand and apply when done. If you keep practicing this technique, there is no reason that you won’t have beautiful curls in due time. Like every technique, you will get better time after time until eventually you are able to switch from perfectly straight, to beautiful waves and curls. The key for women is to switch it up every week. One week you rock that straight hair and the next you switch to a curly look. All the celebrities love doing this, and you should too.